Are you looking for help with your new Gmail account? Or, are you still trying to figure out what all your Gmail email settings mean? You’ve come to the right place. This guide is available to download as a free PDF. Download The Beginner’s Guide to Gmail now. Feel free to copy and share this with your friends and family. Show you how to create a new Gmail account. Understand the Inbox and how to organize your email. Look at advanced Gmail features. Talk about the Gmail mobile app. Point out how third-party cloud services work with your Gmail account online (or even offline). Whether you already have a Gmail account, or you’re thinking about signing up for one, this guide will have everything you need to make the most use of that shiny new Gmail account. Google Drive: Where you can create spreadsheets, documents, and even slideshow presentations using a free library of cloud-based office applications. You also get lots of space to store all of your files. We offer a full guide to Google Drive The Only Google Drive Guide You'll Ever Need to Read The Only Google Drive Guide You'll Ever Need to Read Google Drive is the perfect combination of online file storage and document management tools. We explain how to best use Google Drive on- and offline, by yourself and in collaboration with others. Read More if you need one. Google Maps: A web and mobile-based app to help you find directions and navigate with traffic, satellite views, user photos of places and more. You can even use Google Maps for interesting things like finding parking How to Find Parking Using Google Maps How to Find Parking Using Google Maps Google Maps has some awesome features that make it easier to find parking spaces in major cities. Read More or exploring the solar system Google Maps Now Lets You Explore the Solar System Google Maps Now Lets You Explore the Solar System You can now explore space using Google Maps, allowing us all to become virtual astronauts. Read More . YouTube: Now that Google bought YouTube, your Google account gives you access to all free features that are available on YouTube YouTube Has Become Better! 9 New Features You Need to Know YouTube Has Become Better! 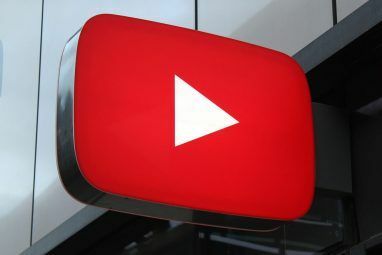 9 New Features You Need to Know YouTube is so much better once you discover some of its hidden tricks and features. Here are nine ways to enhance your YouTube experience. Read More . Google Calendar: A cloud-based calendar system that lets you organize your day in a very intuitive, easy-to-use graphical interface, both on the web 5 New Google Calendar Features You Have to Try! 5 New Google Calendar Features You Have to Try! Google Calendar just got more fantastic. Google finally updated its calendar. We'll show you how to get the new design and which new features you must try. Read More and on your phone. Google Keep: Think sticky notes for your computer and your phone. It’s a great alternative to Evernote Google Keep Is a Great Evernote Alternative and Here's Why Google Keep Is a Great Evernote Alternative and Here's Why For note-taking and list-keeping, Google Keep beats Evernote hands down. We show you seven features that make it a great choice. Read More . Google Contacts: Sync all of your contacts across your email, all Google services, and your phone. Google Analytics, Adwords, and Adsense: To track, promote and monetize your websites How Advertisements On Your Website Could Make Or Break You How Advertisements On Your Website Could Make Or Break You An Internet without ads would be an Internet smothered in subscriptions and paywalls. You don't have to feel guilty for running ads on your website, but make sure you do it right. Read More . This is just a small subset of the cloud services you get access to when you first sign up for your brand new Google account. If this sounds like something you’d like to be a part of, then let’s get started with creating your very first Google Account! When you first visit the Google Gmail page, at the upper right you’ll see a large red box where you can Create An Account. Click it. On the next page, you’ll see a simple form to enter your personal details like birthday, gender, phone number and email address, and of course your name, username, and preferred password. Just keep in mind that these days there are many thousands of users on Gmail. So, you most likely won’t get an account name that matches your real name. To get around this, a lot of people use their full name followed by a random sequence of numbers. Don’t forget to follow our tips for choosing a good password How to Generate Strong Passwords That Match Your Personality How to Generate Strong Passwords That Match Your Personality Without a strong password you could quickly find yourself on the receiving end of a cyber-crime. One way to create a memorable password could be to match it to your personality. Read More . Phone number and a secondary email address are optional, but it’s a good idea to include them since these will be the only way Google can confirm your account should you ever get locked out. Once you accept the terms and conditions and click Continue to Gmail, you will find yourself looking at your brand new, empty inbox. Your inbox is by default sorted into three tabs. The primary tab will hold all of your general incoming emails. However, if there’s any email that Google identifies as either social notifications or promotional emails, those will be sorted into the Social or Promotions tabs respectively. These are actually emails organized by “category”, which you can customize and add additional tabs if you want to. Whenever you get a new incoming email, you can click the label icon in the top menu, and either select a category or create a new one for that email. Back in the main inbox, if you click on the “+” tab to the right of all of the existing tags, you’ll see a list of your current message categories. Select the new category you created and that will also show up as a new tab in your inbox. This is especially useful if you have a lot of projects or many different clients you’re working for, and you’d like to keep all those emails sorted into different tabs. Using categories and tabs in this way can help you keep a much cleaner, easier to maintain inbox. To send your first email, click on the red Compose box in the upper left corner of the inbox. The email composer window is probably one of the more feature-filled, powerful sections of the entire Gmail interface, so it’s worth spending a little bit of time really exploring all of the things you can do in this view. First of all, a little-known secret is that even though the email composer window opens up attached to the lower right corner of your screen, you can easily open it up into a new window by holding down the Shift key and clicking on the resize arrows at the upper right corner of the composer window. You’ll notice when you hover the mouse over the double-arrow icon with the Shift key pressed, the icon changes to a bold single arrow. Click on it and it’ll pop up the email composer into its own separate window. 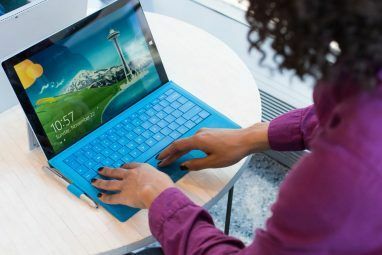 This just makes it a lot easier to write emails on a different area of the screen, or an entirely different screen, without blocking any of your web browser window. It lets you multitask while writing emails. The top of this window has the standard To, Cc, Bcc, and subject fields you’re probably familiar with if you’ve used any other web client. However unlike most web clients where the text formatting menu is at the top, in Gmail this menu can be found at the bottom of the window. This formatting bar lets you format your email text just as you would in a document editor like Microsoft Word. You can change font size, style and formatting, indent text, create numbered or bullet lists, or even include block quotes. A reminder note on emoticons. Through the years, Google has gotten better at improving the available list of emoticons. These days you’ll find a scrollable list spanning 5 categories. Just keep in mind that many people don’t consider emoticons to be very professional 7 Netiquette Guidelines For Writing Emails & Forum Posts 7 Netiquette Guidelines For Writing Emails & Forum Posts Netiquette is short for network or internet etiquette. It encompasses the special set of social conventions found in online interactions. While netiquette is very similar to good behavior or etiquette in offline encounters, there are... Read More , so make sure you’re using them sparingly, and only when the email isn’t intended for a professional audience. One other area to keep in mind when you’re composing an email is the dropdown arrow in the lower right corner. Here, you can switch to full-screen editing mode, instantly choose a label for this outgoing email, switch to plain text mode (no formatting), print the email, or check the spelling (not a bad thing to get into the habit of doing). Just like you may want to customize a new computer you buy, you might be interested in customizing your new email inbox. Gmail gives you the ability to choose from different themes so that you don’t have to face a boring white inbox every day. To select a new theme, click on the cog icon for the “Settings” at the upper right corner of the screen, just under where your profile icon is displayed. Select Themes from the list. Google offers an impressive collection of backgrounds to choose from. Just pick one, click Select, and then Save. The background of your entire inbox will change to the selected image. Along the left side of your inbox is where you’ll find the rest of your email folders. A little later when you create new labels, this is where those will show up as well. When you’re first getting started, all you’ll find here will be four additional folders besides the inbox. The Starred and Important folders are two good ways of sorting and organizing your emails How to Master Gmail Inbox Anxiety How to Master Gmail Inbox Anxiety So many emails, so little time. Do you feel this way when it comes to managing your Gmail inbox? We show you simple settings and helpful tools to organize and stress-proof your Gmail inbox. Read More , but there are many other ways as well. This is the topic that we’re going to dive into next. If you receive a lot of email in the course of a day, it’s essential to organize your inbox in a way that helps you sort, organize, and archive all of that incoming correspondence. Thankfully, Gmail is one of the best tools for doing just that. It offers an assortment of features that let you organize and prioritize everything. Google Contacts is a surprisingly powerful tool that lets you sync your contacts on many different apps and devices. To access contacts, just click on the arrow beside the word Gmail at the upper left corner of the window. These contacts are merged between email contacts you add, and phone contacts you’ve added from your Android phone, or any other service where you log in with your Google account, with Contacts integration. You can easily organize your contacts using labels like Friends, Family, Work Colleagues, and more. Keeping your contacts updated will help you with composing your emails, since you’ll only have to start typing the person’s name, and their contact email will automatically fill into the To field. One of the fastest and easiest ways to deal with incoming emails is by starring them. You “star” an email by clicking on the star icon on the left side of the email when you’re viewing it in your inbox. The idea with this is that you can quickly scan through your emails, and just tap the star icon on the items that you know you need to follow up on later. This way when you return later, you only need to visit the starred folder to see all of those items in one place. Learn more about how starring emails can be in helping you organize emails How the Stars in Gmail Can Make Your Life Easier How the Stars in Gmail Can Make Your Life Easier Gmail's stars can seem annoying if you don't know how to use them. Here's how to get them under control, or remove them entirely. Read More . Probably one of the most powerful tools on Gmail is the ability to apply labels to emails. This lets you organize incoming emails at a granular level. To create a new label, just click on the label icon at the top menu, and choose Create new from the list. When you have an email open, you can sort it into any one of those labels by clicking on the same icon and clicking the checkbox next to the label where you’d like to store the email. This will sort the email under that label in the left navigation bar, and you can also add the label as an individual tab in your main Gmail display, as mentioned at the start of this article. As you can see labels give you the ability to really keep your inbox more organized than ever. Learn more about how to use labeling in Gmail How to Sort Your Gmail Inbox by Sender, Subject, and Label How to Sort Your Gmail Inbox by Sender, Subject, and Label Can't find stuff in your messy Gmail inbox? We'll show you the five best ways to sort your emails. Learn these tweaks and you'll be able to find anything! Read More . By now you may be thinking that Gmail is a pretty useful and versatile web-based email client, but it doesn’t stop here. There’s a whole library of other features that let you automate how you deal with incoming emails, and even add additional accounts so you can manage other email accounts all from your single Gmail inbox. To get to these advanced settings, just click the Gear icon at the top right corner of the window, and then click on Settings. Default Reply: When you press the Reply button, do you want to automatically reply all or reply to sender only? As you can see the General tab lets you customize a whole lot about your entire inbox and your Gmail user experience. The Accounts and Import menu is the place to update your password or Google settings (under Change account settings), or control how emails and contact information is imported from any of your external accounts like Yahoo!, Hotmail, or any other POP3 email account you may have. To have Gmail check external POP3 accounts, just click on the Add a mail account in the Check mail from other accounts: section. Gmail will attempt to import emails using Gmailify. If this isn’t possible, you can click Next to import using POP3 settings. On the POP3 setting page, make sure to enter the appropriate POP3 server and port number provided by the email account service that you’re importing from. Don’t forget to tell Gmail what to do with those incoming emails, like applying a specific label (which can help you with organizing those better, without cluttering your main inbox). Don’t forget to set up the send mail settings in the Send mail as: section. This is where you’ll configure the SMTP server settings so that you can send email through your Gmail account, but make it appear as though you’re sending it from the remote POP3 email account. Every email account you set up here will show up in a dropdown box near the “From” field in your email composer window. To add the SMTP settings for your external POP3 account, click on Add another email address. This window is where you’ll type in the SMTP server address, port number, and the appropriate ID and Password for the account, as well as selecting the correct security options. Once you’re done, you’ll see all the accounts you’ve added in the dropdown list in the From field for any new email message you create. This makes it as convenient as ever to manage all of your different email accounts around the web from a single point – your Gmail account. These settings will also work when you connect to your Gmail account through your mobile (see below). All of these accounts will be accessible for sending and receiving emails from your mobile device as well. Under the Filters and Blocked Addresses menu item, you’ll find all of the existing filters that you’ve set up for incoming emails. Filters are one of the most powerful ways to not only sort incoming emails automatically, but also to respond, forward, or delete incoming emails without lifting a finger. To do this, just click on the Create a new filter link. The filter form is a very powerful method to automate the handling of incoming emails. There are a lot of fields in this form, so here’s a guide to what they all mean. We’ve also frequently covered effective ways to use email filters How to Set Up Email Filters in Gmail, Yahoo Mail, and Outlook How to Set Up Email Filters in Gmail, Yahoo Mail, and Outlook Email filtering is your best tool in keeping your inbox neat and organized. Here's how to set up and use email filters in Gmail, Yahoo Mail, and Outlook. Read More . On this first form, you define which incoming emails you want the rule to apply to. From: Emails from specific email addresses (you can include multiples with commas). To: Emails sent to a specific address. This is useful especially if you have emails coming in for multiple email accounts. Subject: Emails that contain specific words in it. Use double quotes (“) if you want to search for an exact phrase. Has the words: Searches for words in the body of the message. Doesn’t have: Searches to ensure that certain words aren’t in the body of the message. Has attachment: Checks whether or not the incoming message has an attachment. Don’t include chats: This excludes any chat notification emails from the rule. Size greater (or less) than: Identify messages of a certain size limit. As you can imagine, all of these criteria give you some pretty powerful search capabilities to properly filter and organize your incoming emails. The next step, once you’ve identified those incoming emails, is to handle them automatically. This part is handled on the next page of the filter form. Here is what each of those filter actions will do if you select them. Skip the Inbox (Archive It): This will immediately archive the incoming message. This is useful for spam messages from businesses you might have signed up with, but don’t actually want to read their advertising emails. Mark as read: This marks the message as “read” even though you didn’t read it yet. This prevents the message from showing up as highlighted (unread) in your Inbox. This is useful for incoming emails that you know aren’t very important. Star it: If you know certain emails from a particular person will be important, then automatically star it! Apply the label: This action will instantly label incoming emails that match your search. This is actually a great way to automatically sort emails coming from different accounts, by giving it a label for that account. Forward it to: This lets you auto-forward specific emails to another email address or addresses. Delete it: This will automatically delete any email that matches your filter, so use with care! Never send it to Spam: This is useful if you know Google usually forwards specific emails to the spam folder. You can set up this filter to never send emails from that address to the spam folder. Send canned response: This action allows you to automatically respond to specific emails. This is useful if you run a business and you want to immediately thank the sender for emailing you. Always mark it as important: Do you want to mark every email from your boss as important? This is the action to use. Never mark it as important: Use this one if you hate your boss. Categorize as <category>: This lets you automatically move an email to a specific category in your Inbox. Again, this is another very useful way of automatically organizing your emails. You can see all of the filters you’ve created (and you can delete them or edit them if you like), on the Filters and Blocked Addresses tab. The next tab in the Settings menu worth mention is the Forwarding and POP/IMAP tab. There are three sections in this area. The first is to automatically forward a copy of all incoming emails to a specific email address. This is mostly for folks who use a different email client most of the day – such as their work email – and want to receive incoming Gmail emails at that address as well. This option lets you automatically delete the incoming emails, or keep a copy in your Gmail inbox. The next section on this page is the POP Download. POP stands for Post Office Protocol. It’s one protocol most email service providers use to transmit email. In this area, you can enable POP in your Gmail account. This lets you use any email client (even desktop ones) to import all of your Gmail emails, so long as the client is capable of connecting to a POP server. This is where you configure Gmail to either keep a copy of the original email, mark it as read, delete it, or archive it. If you click on Configuration instructions, you can read specific server and port settings to use when setting up your email client to obtain your Gmail emails. The IMAP section of this tab is similar to the POP section, with a few variations. IMAP stands for “Internet Message Access Protocol”, and like POP it’s simply another email transmission protocol. To allow IMAP email clients to access your Gmail account, you’ll need to Enable IMAP in here. IMAP is a two-way exchange, so you can set up Gmail to copy the actions that you use in an IMAP client. So, when you delete it there, you can configure Gmail to delete it on your local Gmail account as well. Again, click on Configuration instructions for the exact IMAP servers and ports to use when you’re configuring your IMAP email client to connect to your Gmail account. The Offline tab lets you enable access to your Gmail even when you are not online 12 Offline Chrome Apps to Stay Productive Without Internet 12 Offline Chrome Apps to Stay Productive Without Internet With Chrome, you can get stuff done while offline. These Chrome productivity extensions let you cut the distractions of the internet and get straight to work! Read More . So let’s say you are on a plane with no web access, you will have the ability to reply to and send emails without having to log into your online Gmail account. If you enable Gmail offline, it will download a local Gmail client extension onto your browser, so that you can reply to and read your email, or catch up on adding contacts. Whenever your computer reconnects to the Internet, all of the offline changes will re-sync and update your online Gmail account. You can even add attachments that will be sent when you are back online. To turn Offline on, click on the Install Gmail Offline link, and Gmail will install the Chrome extension and create an icon on your desktop. It’s almost like having an email client application installed on your computer. The benefit of this extension is that even if your computer dies, you will still have all of your emails and contacts safely stored in the cloud in your Gmail account. Even though the Gmail Labs area (accessible on the Labs tab) hasn’t gained much in terms of interesting new features in many years, the available add-on features that do exist are pretty useful. Here is a short list of the best ones. Canned Responses let you bring your email automation to a whole new level. When you’re composing a new email, just click the dropdown arrow to the lower right of the window, and then click on Canned responses. You’ll find a list of all of the canned responses you’ve created already, under Insert, Save, or Delete. Insert: Click on this to insert the selected canned response into your current email composer window. Save: Click on this to save the currently composed email as a new Canned Response template. Delete: Click this to delete the selected canned response from your list of templates. This is especially useful if you’re a manager and need to frequently send nearly identical emails to a large staff. Using a Canned Response template, you can write up your email as a template, insert it into every new email, and then just fill in the specific details that apply to that person. Use canned responses creatively 4 Ways to Creatively Use Canned Responses for Email Productivity 4 Ways to Creatively Use Canned Responses for Email Productivity If you're effective, you're doing something right. That's why you should use email filters and schedule mail time. One trick is to prepare canned responses for emails you frequently write. Read More because they are real time savers. The Preview Pane feature in Labs is very useful if you like to see the contents of an email in your Inbox without having to open it. To use this feature once it’s enabled, just click the dropdown arrow to the left side of the settings button, and choose whether you want to see the preview pane split from your inbox view on a vertical split or a horizontal split. Google Calendar gadget: This will display a gadget with your Google Calendar and Events in the lower left corner of your Gmail inbox window. Right-side chat: This enables integration with Google Hangouts chat on the right side of your Gmail inbox window. Multiple Inboxes: This enables a Multiple inboxes tab in settings where you can create multiple inboxes based on specific search queries (similar to filters). Tabs must be disabled for this feature to work. Other Lab features are reported to be a little flaky or not very useful. Don’t let that stop you from experimenting with them and customizing your Gmail inbox in whatever format you prefer! When you’ve become accustomed to using Gmail for all of your email needs, explore integrating Gmail with other cloud services you use. 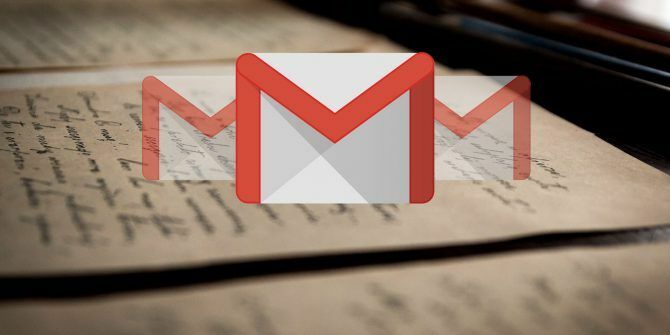 The following are some of the Gmail integrations we’ve covered here at MakeUseOf. Please feel free to explore them and install the ones you like. Use the SecureGmail extension How to Encrypt Gmail Messages Before They Reach Google's Servers How to Encrypt Gmail Messages Before They Reach Google's Servers Are you wary of Google's prying eyes but can't get yourself to quit Gmail? Use this nifty extension to encrypt your messages and prevent Google from reading them. Read More to encrypt your Gmail messages. Automate your life using Gmail with Gmail IFTTT integrations Enhance Your Gmail Experience With These 9 Great IFTTT Applets Enhance Your Gmail Experience With These 9 Great IFTTT Applets Gmail and IFTTT combine to give you the most productive email experience ever. Read More . Integrate Gmail with popular cloud-based ToDo apps Turn Gmail Into a Powerful Collaboration Tool with These Apps Turn Gmail Into a Powerful Collaboration Tool with These Apps Are you using using Gmail for collaboration? 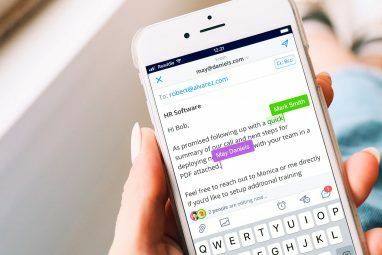 The world's universal inbox has powerful features baked in, and then there are some wonderful third-party email collaboration tools. Here are some tips that can help. Read More . Integrate your Gmail account with Dropbox Dropbox for Gmail: Why Google Chrome is Now the Best Dropbox Client Dropbox for Gmail: Why Google Chrome is Now the Best Dropbox Client Dropbox, one of the best cloud storage providers, requires a local client installed on your computer to be truly useful. However, if you use Google Chrome, you might not need that any more. Read More . Use Mailstrom Buried In Emails? Shrink Your Massive Inbox To Zero With Mailstrom Buried In Emails? Shrink Your Massive Inbox To Zero With Mailstrom We've offered a number of solutions through the years to manage your Gmail account and to clean up a cluttered inbox. Nothing is more convenient than a central online solution like Mailstrom. Read More to keep your Gmail account clean How to Stop Spam Emails in Gmail How to Stop Spam Emails in Gmail Do you get too many emails? These clever Google Mail tips will help you stop unwanted spam emails before they clog up your Gmail inbox. Read More . Customize Gmail with Chrome extensions to make Gmail more like Outlook Make Gmail Work Like Microsoft Outlook With Chrome Extensions Make Gmail Work Like Microsoft Outlook With Chrome Extensions Compared to Microsoft Outlook, Gmail is missing features and the familiar Office look. We'll show you how to add Outlook functionality to Gmail in Chrome. Read More . No email service is very good if you can’t access it from multiple devices. You can download the Gmail app for Android from Google Play, or for iOS devices from iTunes. The mobile app interface is very intuitive. You’ll find all of the same email categories under the Primary inbox as you find on the web-based client. While browsing messages you can quickly star them by tapping the star. You can also long-press them to label or mark them important. Composing emails on your mobile device is fast and easy. It’s also integrated with all of your Google Contacts. The Gmail mobile app makes access to your Gmail account quick and convenient, no matter where you are. Email has been a critical part of nearly everyone’s online experience since the first days of the Internet. The only thing that has really changed is where and when we’re able to access our email. Google stayed on top of internet trends all these years with an email platform that is flexible, intuitive, and compatible with many other services all across the web. Gmail is easy to streamline using any of the GTD techniques How to Get Things Done and Stop Procrastination How to Get Things Done and Stop Procrastination Do you often miss deadlines or work overtime? Are you procrastinating? Try these strategies and apps to change habits, get things done, and reduce stress. Read More you might have learned about. You already may have other email accounts. But, it’s still worth signing up for Gmail to see if it helps you save time and energy. Even if it saves you only an hour a day, it’ll be well worth it. Do you use Gmail? What tips do you have for other Gmail users? Or for anyone signing up for Gmail for the first time? Share your own advice in the comments section below! Explore more about: Email Tips, Gmail, Google, Longform Guide. Not sure what step I'm missing - but I can not create a new tab in Gmail to save my soul.